Do you want to create a video software tutorial or demo presentation to promote a project or website? 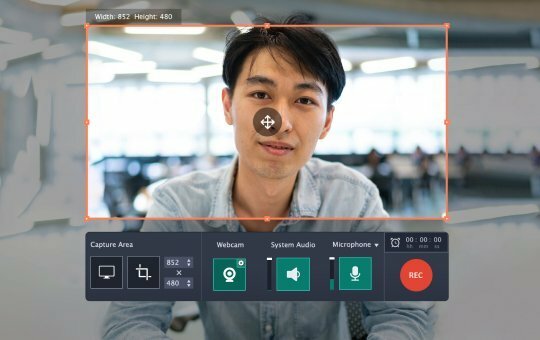 Maybe you’d like to make a short video using webcam input. Or perhaps you just want to save your favorite online movie to your hard drive. 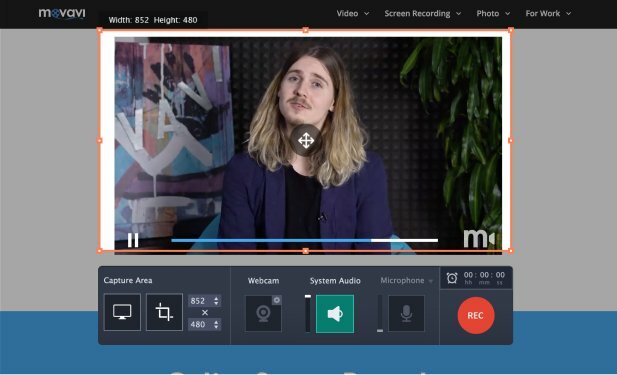 When it comes to saving online videos, the two main ways to do this are using screen recording software or an online video grabber. The latter lets you download clips via URL, which seems to be pretty easy. However, this option does have some drawbacks: you can grab videos from websites only and the quality of downloaded files can sometims be pretty low. 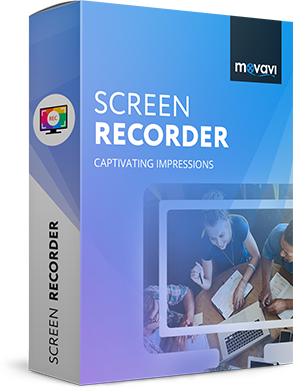 We recommend instead you use Movavi Screen Recorder – a safe alternative to online video recorders. 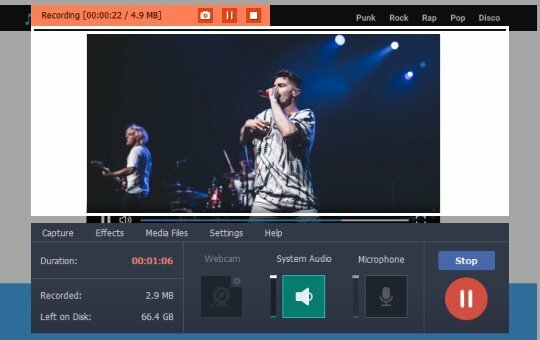 In addition to grabbing videos from websites, this app lets you record any screen activities to create video clips while browsing the web, watching online videos, chatting via Skype, or working with a new application. Download Screen Recorder right now and read this guide to learn how to use Movavi’s ultimate video grabbing software. Once you’ve downloaded the appdownload, install it according to the on-screen instructions. First, designate the capture area by drawing the capture frame with your mouse. 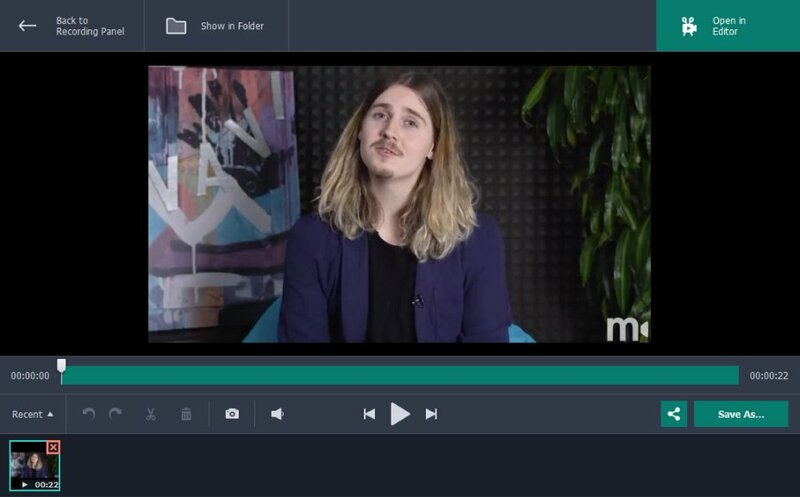 If you want to rip your video in full screen mode, click the Monitor icon in the Capture Area. You can also adjust the size of the capture area manually by pulling on the edges of the frame. Now set the audio preferences. By default, the program captures sound from your output sound device. If you also want to use an input device (microphone or other), click the Microphone icon to activate input device sound capture. Make sure you have your microphone plugged in. If you connect more than one input device, you’ll need to open the drop-down list above the microphone icon and pick the name of the other device(s) from the list. 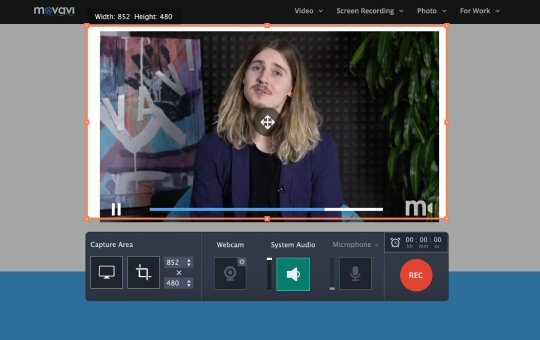 You can even add webcam video to your screen recording. To do this, click on the Webcam button on the left – it should turn green. 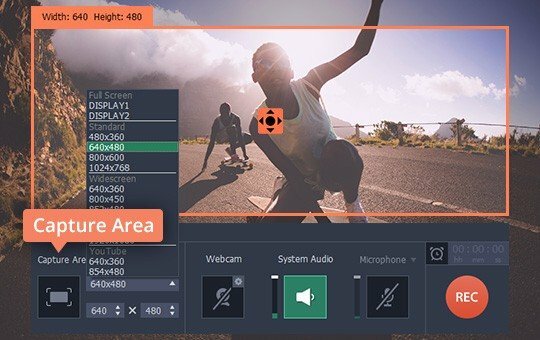 Click the small Cogwheel button to configure the position, size and framerate of the webcam video capture. For a more informative video, you can configure the program to memorize keyboard and mouse actions. To do this, go to the Effects menu and set up the Keystroke Recording or Cursor Effects. If you use Mac, look for the menu bar on top of your screen. Now click REC on your screen to grab a video. You can manage the process by clicking the appropriate buttons on the program’s control panel, or use hotkeys: in Windows, press F9 to pause/resume the process and F10 to complete it. To take a screenshot, hit F8. If you're a Mac user, press ⌥ ⌘ 1, ⌥ ⌘ 2 and ⌥ ⌘ 3 respectively. 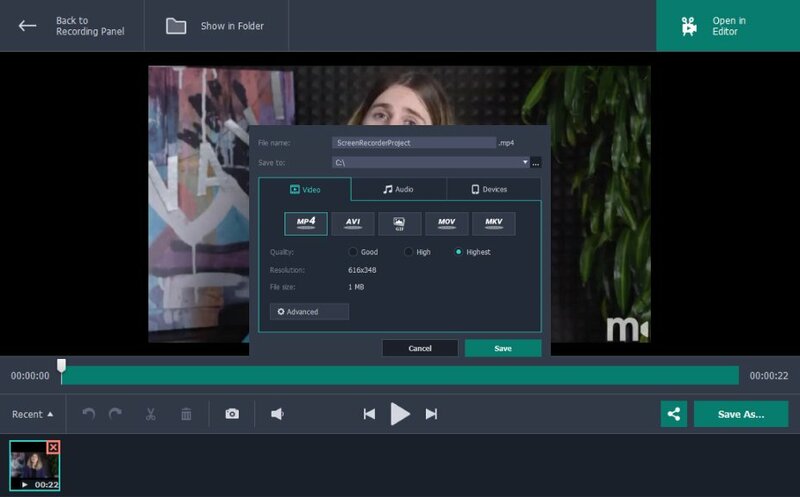 After you’ve finished grabbing your footage, it will be automatically saved in MKV, so if you don't need any editing or format changes, you can simply check your recording in the preview window. If there are any segments you'd like to cut out, use the Scissors tool to mark the beginning and end of the unwanted fragment, then select it with the left mouse click and remove it using the Trash Can button. Click Save As to apply any changes you've made, an export dialog will open. Here, you can choose a new format for your recording. 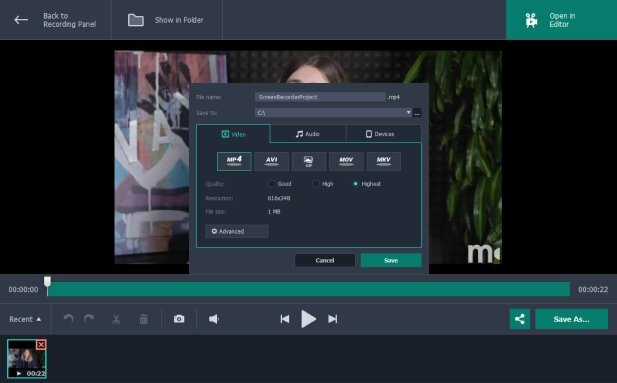 Finally, hit Save and wait for the clip grabber to finish processing your video. 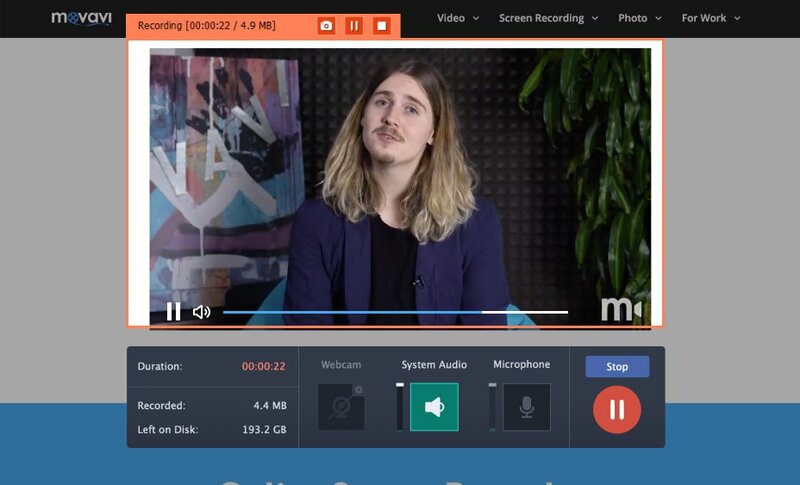 Screen Recorder is the best tool that will help you save any video to your hard disk! How to capture Flash videos? How to capture online audio? How to record Skype calls?